Nokia has launched Nokia 6.1 Plus Smartphone with Snapdragon 636 processor and Dual Rear Camera, Xiaomi Redmi Note 5 Pro also comes with similar specs. Check out Specs, Features price comparison between Nokia 6.1 Plus and Xiaomi Redmi Note 5 Pro. Both Phones come with Fingerprint Scanner on the Rear. 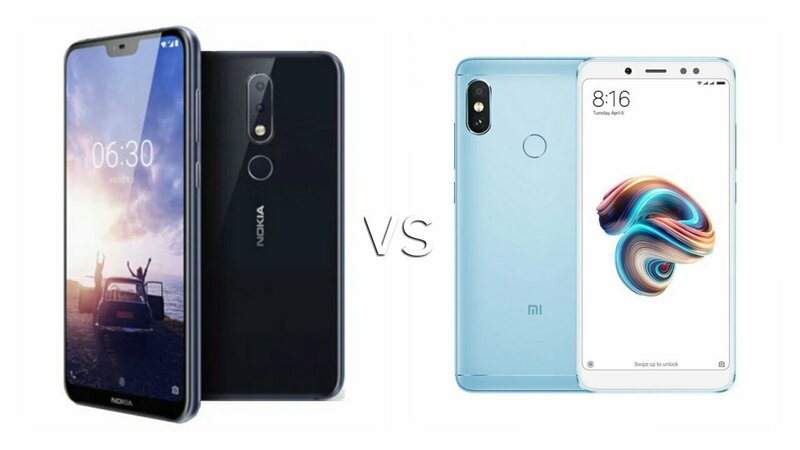 Nokia 6.1 Plus has a 19:9 Notch Display compared to 18:9 FullView Display on Redmi Note 5 Pro both phones are powered by Octa-Core Snapdragon 636 processor with 4GB RAM and 64GB of internal storage, Redmi Note 5 Pro has 6GB RAM model.